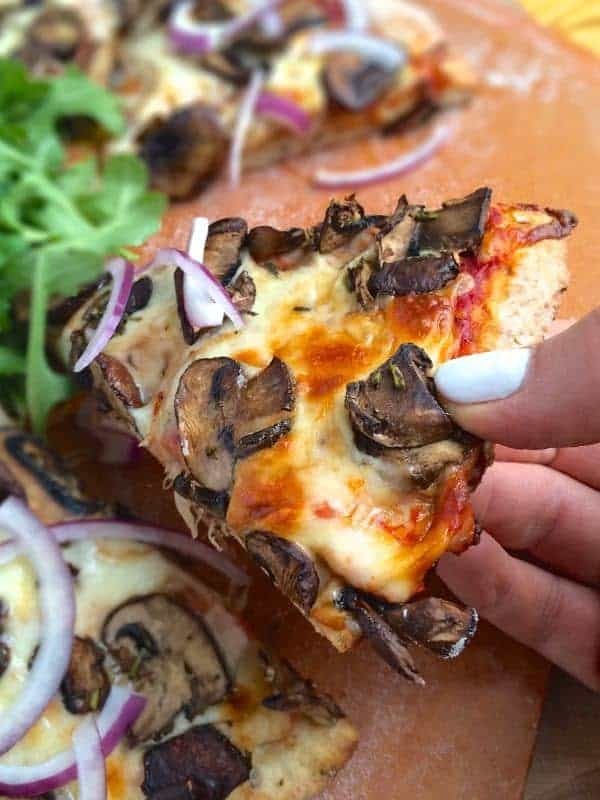 Two of your favorite comfort foods collide in this healthy mash-up of pizza and meatloaf. 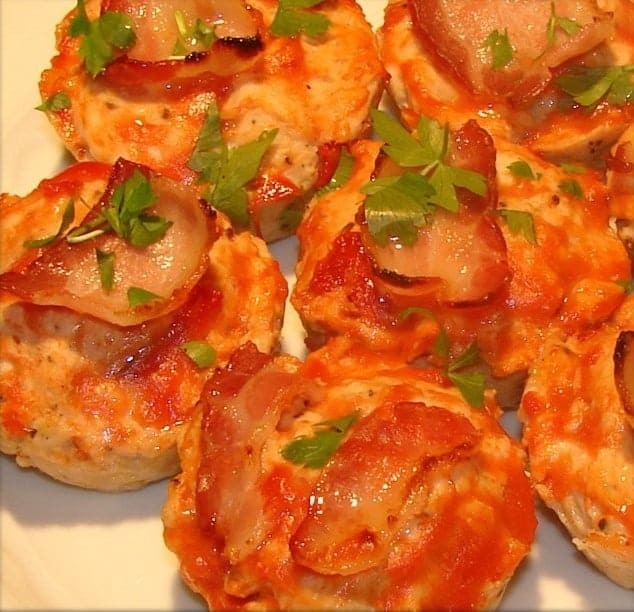 Fast, healthy and naturally gluten free, these pepperoni pizza meatloaf muffins are always a hit. We make meatloaf muffins at least once a week. Quick-cooking, versatile and always a family-favorite, my boys absolutely love this healthy and easy dinner recipe. 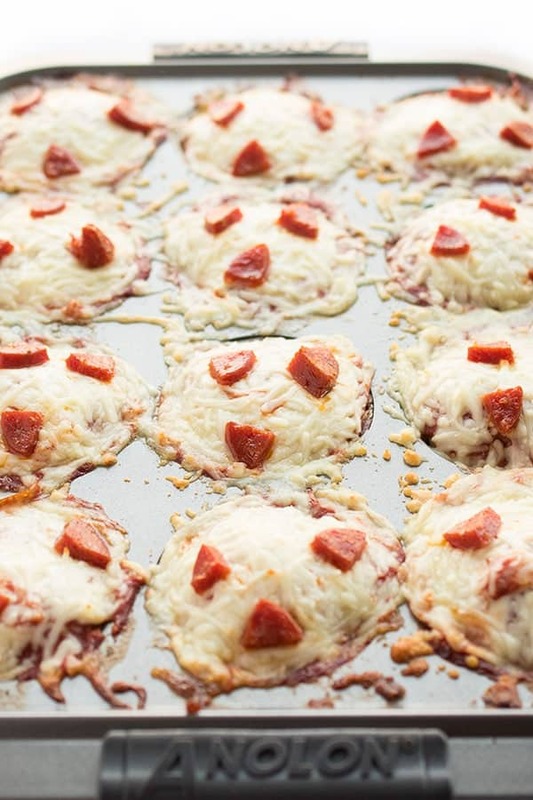 Once I saw how much my kids loved my Cheeseburger Meatloaf Muffins, I decided to create a pizza-inspired version topped with shredded mozzarella and bite-sized pepperoni pieces. 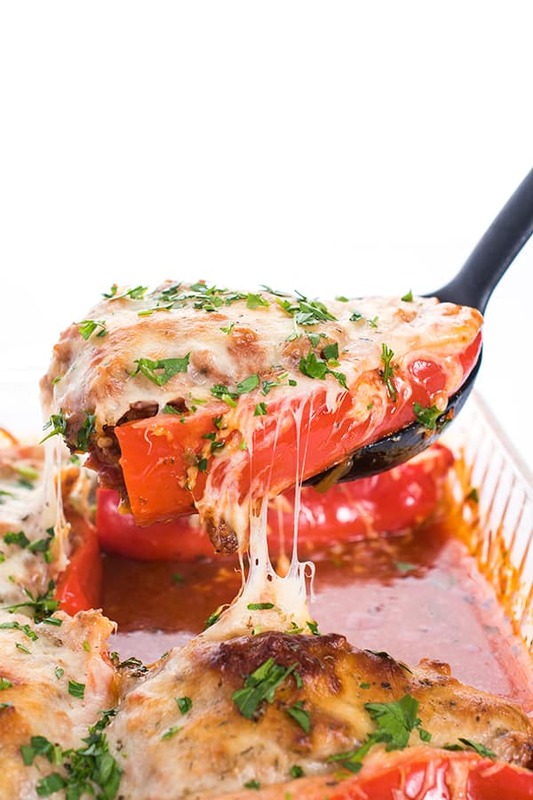 Bell peppers, sausage or ham would also be great on these muffin-sized meatloaves. If you don’t have ground beef on hand, ground turkey or chicken would work just as well. The best part? 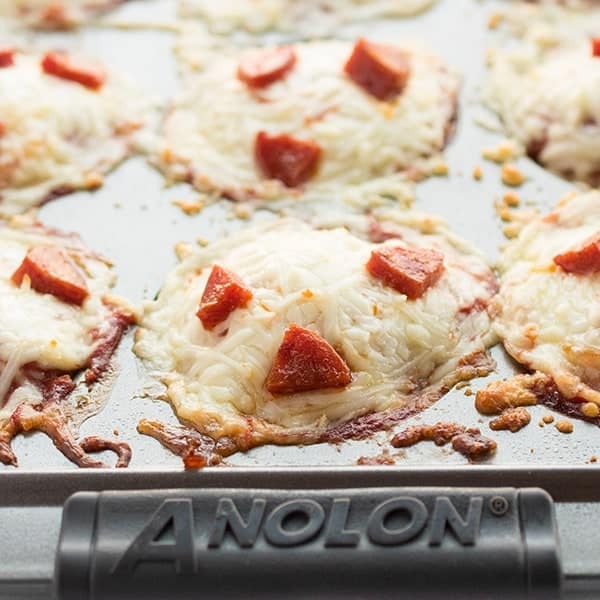 These pepperoni pizza meatloaf muffins are 100% gluten free! 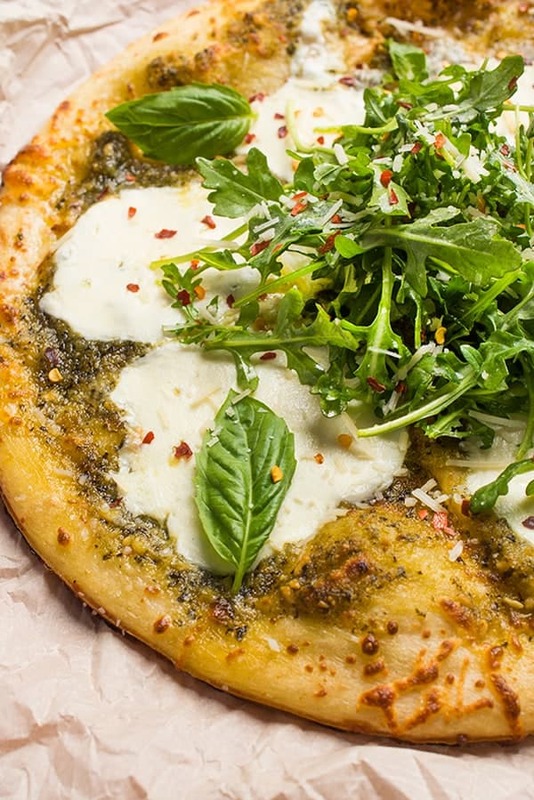 A great alternative to the traditional slice of pie. Preheat oven to 350 degrees and have a non-stick muffin tin ready to go. In a large bowl, mix together first 7 ingredients (beef through pepper) with your hands until evenly incorporated. Divide mixture evenly between 12 muffin tins, gently shaping into small meat loaves. Brush each meat loaf cup evenly with tomato sauce. 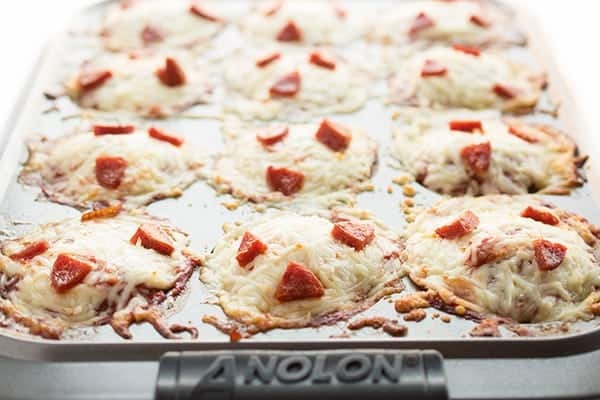 Sprinkle each cup evenly with shredded cheese and pepperoni pieces before baking in oven for 15 minutes or until cooked through. 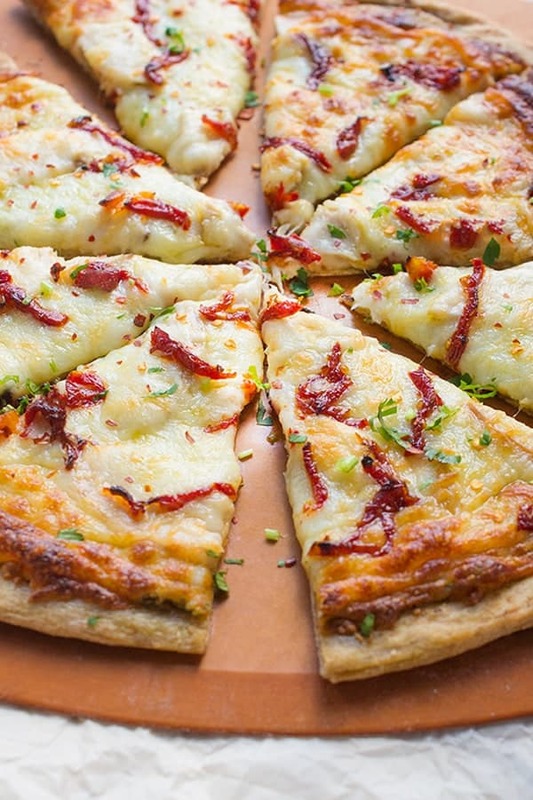 Check out my Pinterest board for more great recipes! Hi there, love this. Would you like to share this with the other participants in Food on Friday over at Carole’s Chatter? I have a weekly link up party – each week there is a different ingredient or theme. The current theme is Beef! Sure not problem – just as long as you don’t share the whole recipe and link to my website for the recipe itself.